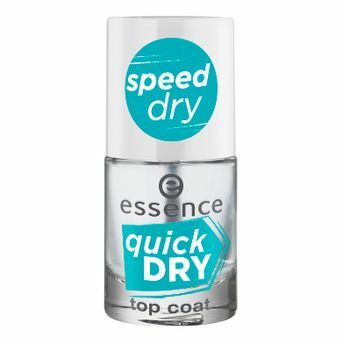 Essence Quick Dry Top Coat makes it really easy to fixate your favorite nail polish or styling creations in no time. The clear top coat dries super-fast and gives your nails an impressive shine. It immediately seals nail polish and give a salon style manicure! Fixate your favorite nail polish or styling creations easily with Quick Dry Top Coat. The clear top coat dries super-fast and gives your nails an impressive shine. It immediately seals nail polish and give a salon style manicure! Explore our entire range of Nail Care Products here. Explore the entire range of Nail Polish available on Nykaa. Shop more Essence products here.You can browse through the complete world of Essence Nail Polish .